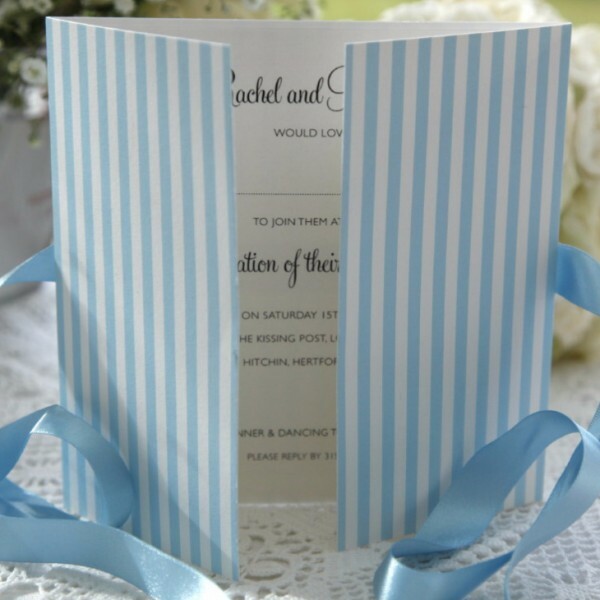 This invitation brings back memories of a Civil Partnership I attended in 2012. The venue was the gorgeous Hotel du Vin old Inn and bistro which is situated in the Lanes conservation area of Brighton, just a shells throw from the beach and Brighton Pier. The venue was sublime but some of the best photographs of the happy couple were taken on the seafront. The candid style captured by the photographer made use of the natural scenery and of course some of Brighton’s most famous in-situ props, the striped canvas deckchairs.